In late October I left Wanaka and drove over Haast Pass toward the infamous West Coast. I say infamous because this region is notorious for its huge amounts of rainfall (up to 7 meters annually in some spots!). As I drove to the west the forest got bigger and bigger, and by the time I reached the top of the pass I was surrounded by full-on rainforest – lush, green, and mossy with misty clouds hanging about the vertical mountains. And raining of course. I was truly in awe as I drove the windy road, trying to take in the view while simultaneously keeping my car on the road. 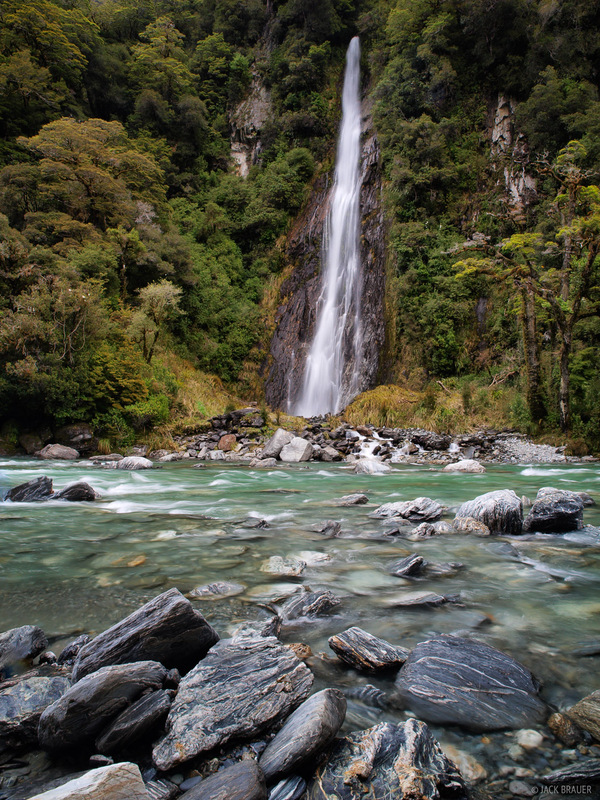 The impressive 28m Thunder Creek Falls is located near Haast Pass, on the South Island of New Zealand. I ended up driving to Fox Glacier, a small town next to… you guessed it… the Fox Glacier. 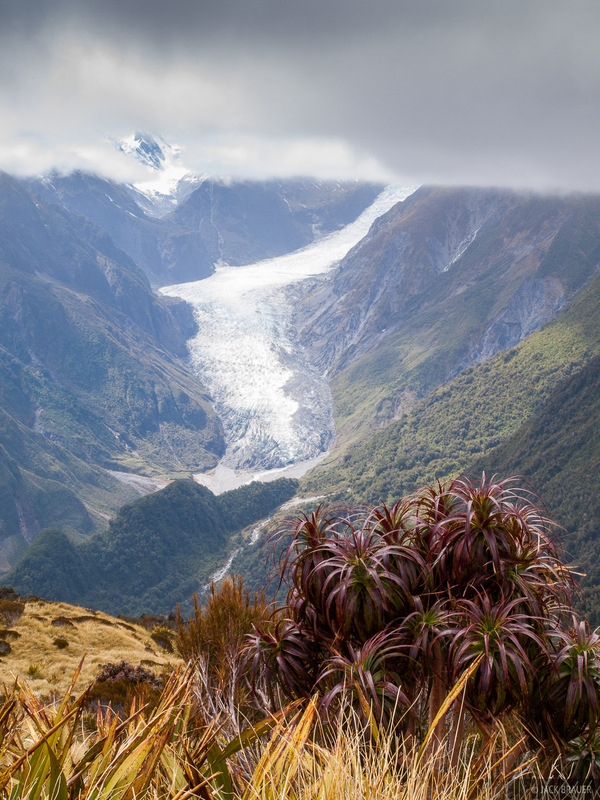 The Fox Glacier, along with the Franz Joseph Glacier (a few kilometers north), are two really long glaciers that pour out into the rainforest from the heavily glaciated alpine basins above. These glaciers are special because, due to the steepness of the mountain valleys and the heavy precipitation, the glaciers advance well below treeline at a very fast rate – they supposedly advance a meter a day! 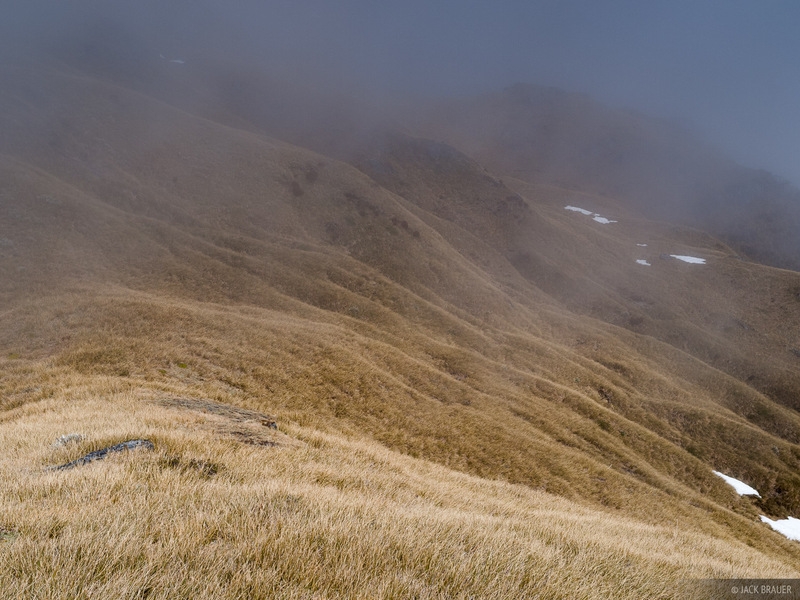 Yesterday, heeding a recommendation from a Kiwi hiker, I hiked part of the Copeland Track to the Welcome Flat Hut, where there are some natural hot spring pools. Hiking along the Copeland Track. The track was a 5.5 hour walk through rainforest along a big turquoise river. 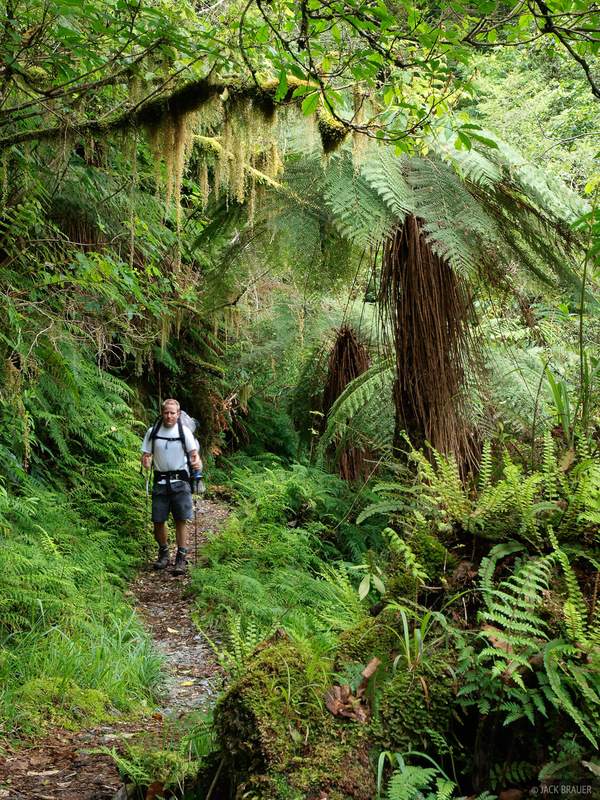 The rainforest is so amazing… it seems magical in a way, so lush and vibrant, with huge ferns and mossy trees. Before I came here I wasn’t really excited about walking in the forests, but now that I’m here I am blown away. Photos cannot do justice to the way it feels to walk here. 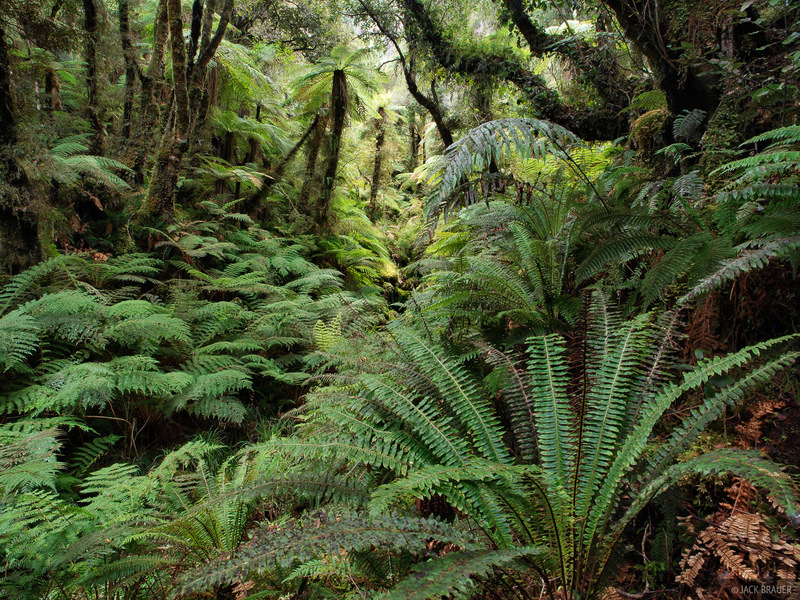 Amazing rainforest full of ferns, along the Copeland Track on the West Coast of New Zealand. Speaking of which, I am finding it very difficult to photograph the forest. The visual chaos makes it challenging to find a composition that doesn’t look completely arbitrary. I’ve had this feeling before hiking through aspen forests back in Colorado, but even that is much easier to photograph because of the way the aspens line up together. Here, it’s an utter chaos of lines, and almost everything is green. I did get a few decent shots I think, but for the most part I’d say that the rainforest here is just one of those places that is very difficult to capture in a photograph. 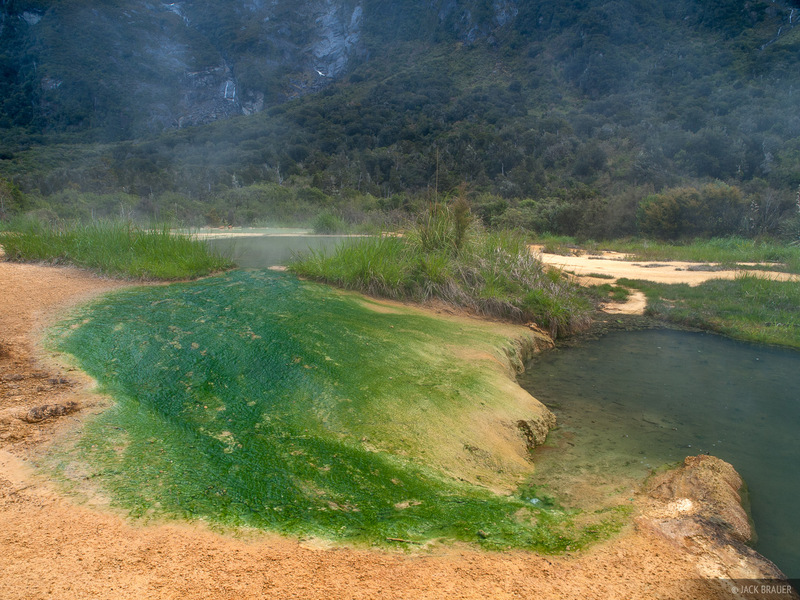 Hot spring near the Welcome Flat Hut along the Copeland Track. Interestingly, the Welcome Flat Hut and the Copeland Valley are situated almost directly to the west of Mount Cook Village, just over the mountain range. It seems a world away – barren on the east side, lush and green just over the ridge. Sunset reflection of Mt. Tasman and Mt. Cook, as seen from Lake Matheson on the West Coast near the town of Fox Glacier. 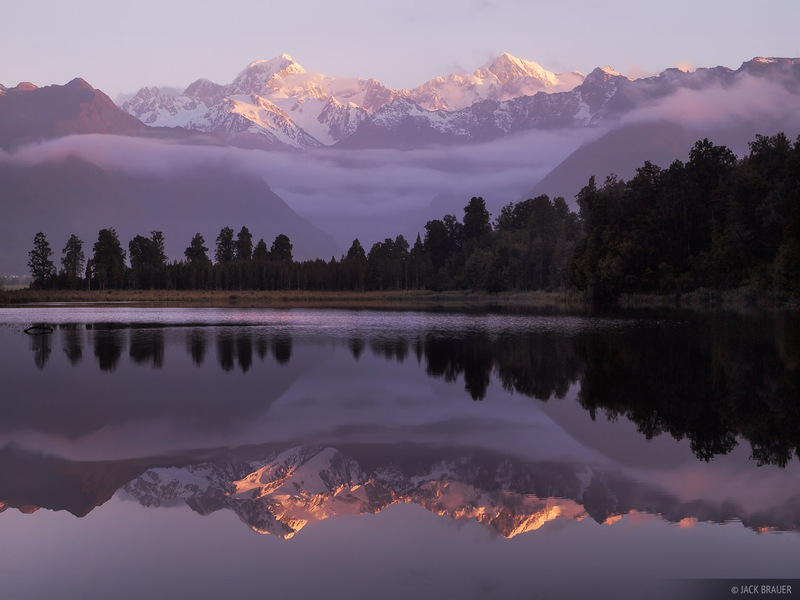 Back in the town of Fox Glacier, I drove out to Lake Matheson one evening for the famous sunset view of Mount Cook. 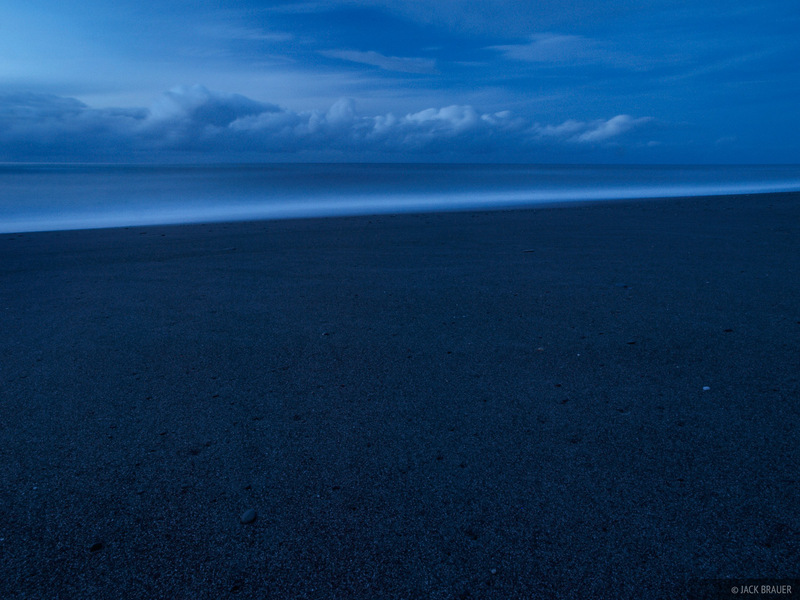 A long exposure after sunset, on the black sand of Gillespie Beach on the West Coast of New Zealand, along the Tasman Sea. Then at the beginning of November I went on one of the most memorable backpacking trips of my life. With a weather forecast clear of rain for all of New Zealand, I was excited to get up high and get some views of the Fox Glacier and the west side of Mt. Cook. My plan was to hike a steep route through the forest and camp on a high ridge above treeline. I set off under clear skies and started the grueling route through the forest – so steep that some of it consisted of climbing up what can only be described as root ladders. When I finally got high enough to see through the forest canopy, I was disappointed to see a completely overcast sky. By the time I got to the ridge above treeline, it was completely socked in fog. I was bummed, but I set up my tent anyways and ate some food. After studying the map, I decided to do a long hike further up the ridgeline… what the hell, it may clear up later I thought. Hiking out the ridge was challenging in the thick fog, but with careful map and compass work and a bit of intuition, I made my way out. Several times when there were drop-offs I had no choice but to sit and wait for a bit of clearing in the fog to see where I needed to go next. I kept going though, and as I hiked higher and higher, I noticed that the clouds were becoming brighter. Sure enough, I eventually popped out above the cloud layer into bright sunshine and a glorious clear day, with huge views of the gleaming white peaks! I was so stoked. 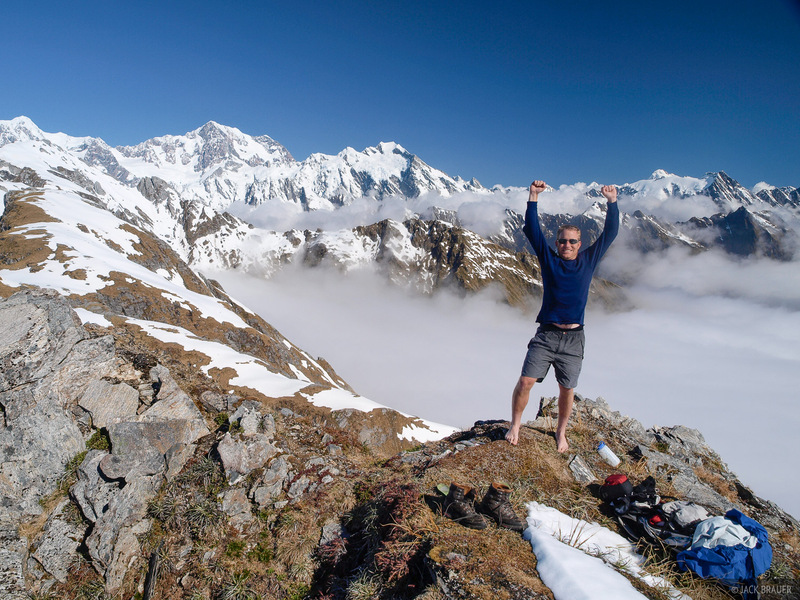 High above the clouds in the Southern Alps. I got to a highpoint with a great view of the entire range as far as the eye could see, with Aoraki / Mount Cook front and center. With sun and no wind, I spent four hours up there, relaxing and soaking in the view. I got some killer sunset pano shots of the range bathed in alpenglow with the cloud cover down below. A super-wide panorama of Aoraki / Mount Cook and the Southern Alps basking in the glorious evening light far above the clouds and rainforest below. The clouds stretch out over the Tasman Sea. A strange thing happened right before sunset. I was looking at the view from a slightly different point, and all of the sudden I remembered a dream I had years ago – of the same scene! I know it sounds strange, but I had this dream once where I was by myself really high up on a rugged foreign mountain range (much more rugged than what I’m used to) and it was about sunset and I was taking photos, and it was all a bit scary with the snow and steep drop-offs around. The dream was not much more than that, and I soon forgot about it. But I swear at the moment last night seeing that same view triggered my memory of that dream, and I tell you it was the same scene! Trippy! 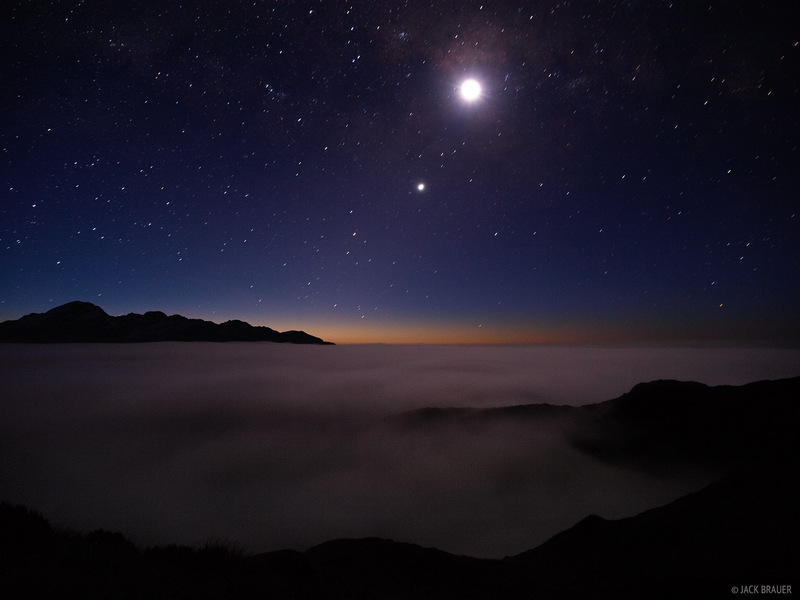 The stars shine bright after dusk, as seen from a high ridgeline above the clouds, long after sunset.